I have attempted to convert my 1995 T444E to run on WVO but I am having issues. This is my current design, except I replaced the check valve (Purple circle) between the WVO filter and the WVO pump with a 12V shut off valve. From what I first thought there shouldn't be a path for diesel to get to the engine in WVO mode but I think I was wrong, because when I took the bus for a test drive I burned diesel in WVO mode at a normal rate while slowly backfilling the WVO tank. I took another look at the drawing and found I did initially overlook a spot on the stock filter tower. The fuel pressure regulating valve is mounted to the stock fuel filter tower and maintains correct pressure in the injection rails. It has an internal passage though, that goes directly into the filter tower to the dirty side of the filter. 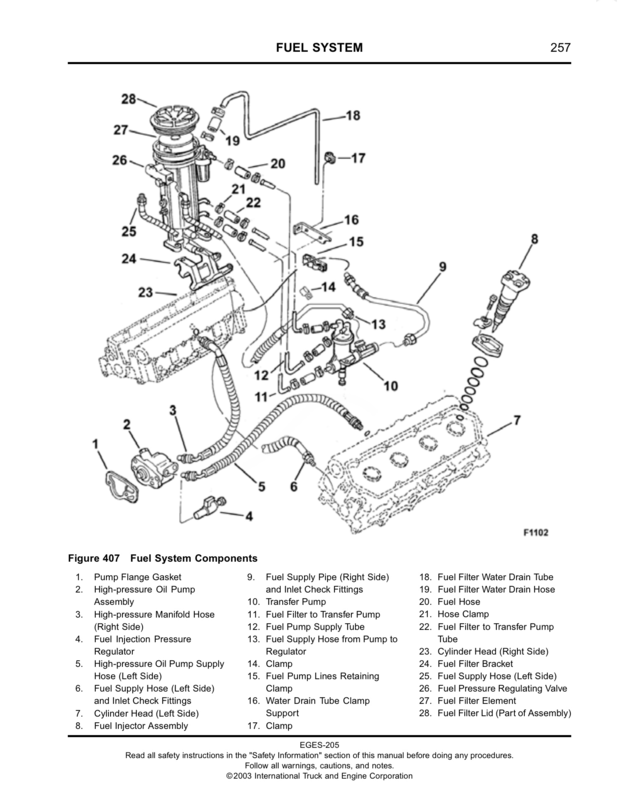 Here is a fuel flow diagram showing it. And here it is on the tower. I know, obvious thing to totally overlook, and I even replaced the stock fuel filter so I had to look right at it, but I did. So my thought is that this passage is under low pressure from the stock transfer pump. From here unfiltered diesel was pushed out of the filter canister and down the return line to the suction side of the WVO pump, which then sent it to the injection rails to be burned. So my question for the skoolie community is, is this internal passage an integral part of the fuel return system? Or, is it there just to shortcut having to pull unfiltered diesel from the tank. And with that, could I plug the internal passage without affecting the return valve or does it require a certain backpressure in that passage? Because if I can plug that passage than I think it might work. Also, if anyone has any other schematics or drawings of the T444E fuel system they could share I would be forever grateful. The "fuel bowl" has 4 fuel lines, 2 on the driver's side and two on the passenger side. The passenger side fuel lines go to the fuel rails in the two heads. The driver's side lines are incoming fuel (the lower line) and a fuel return back to the tank (the upper line). The fuel pressure regulator is installed inside the mounting point on the upper fuel line. It's just a spring loaded poppet valve that keeps pressure in the fuel bowl. The black tower has a spring loaded shutoff inside the top of the tower which prevents dirty fuel entering the head lines when the filter is removed. If you look inside the filter you'll see a plastic nub that opens that tower shutoff when the filter is pressed in. The pressure regulator housing is known to snap off at the threaded bit that the fuel line nut screws into so be gentle. The nut should just touch the housing but no tighter. Now is a good time to rebuild the bowl. It's a pretty easy job once the bowl is removed. Here's a couple shots of the FPR (fuel pressure regulator). The black regulator housing is an aftermarket billet piece that doesn't break so easily as the stock one. The filter is actually two filters in one. The pleated part filters the fuel going into the head lines and the outer "umbrella" filter strains the fuel going back to the tank. Ignore what I just posted. I see you have a 1995 fuel bowl and mine is the later 1999+ version. There may or may not be any similarities, although the tower shutoff looks the same. Yes my tower looks a bit different. Here is the view from directly behind it. And this is taken from directly in front of it. The diesel and WVO share the path from the high pressure stage of the stock pump to a T with one line going to the right fuel rail, and the other going to the FPR valve, which also T's to the left fuel rail on one side of the valve, with the return to the tank on the other. The internal passage makes it a four way T of multiple pressures. Here's a blown up view of the tower and pump. Bump. Does anyone else have any experience the the FPR on a 95 T444E? Assuming that the engine is running properly in diesel mode I would think that the FPR is working as it should (keeping steady fuel pressure in the filter canister and sending excess fuel back to the tank). The fact that it's getting diesel when in WVO mode while back filling the WVO tank suggests that the changeover valving is at fault. Make sure both the fuel supply and fuel return lines are being redirected properly. The restriction is actually an air relief. The filter tower is the highest point of the fuel system, and that channel allows air to be returned to the diesel tank with the return fuel. When its not air being pushed out, its diesel under about 4psi. I plugged it with a piece of steel rod cut and ground to shape and that fixed the issue. 800mi on veg so far.